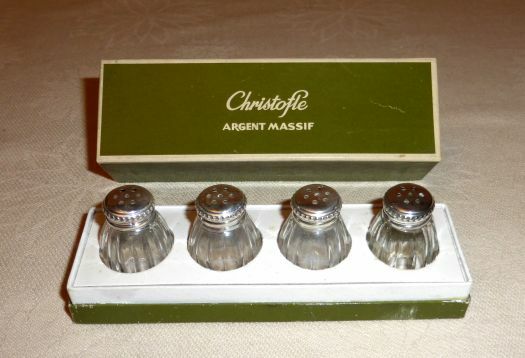 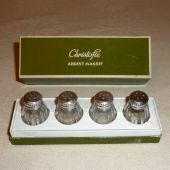 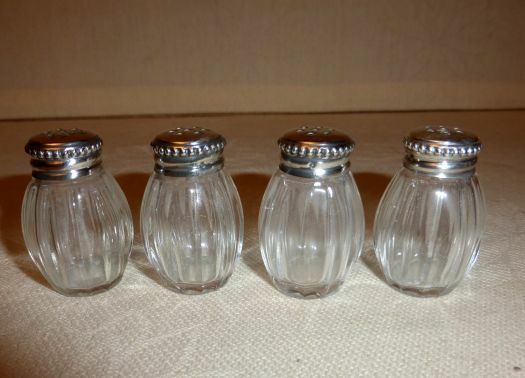 Set of 4 small displayers for salt, in glass (or perhaps cristal ? 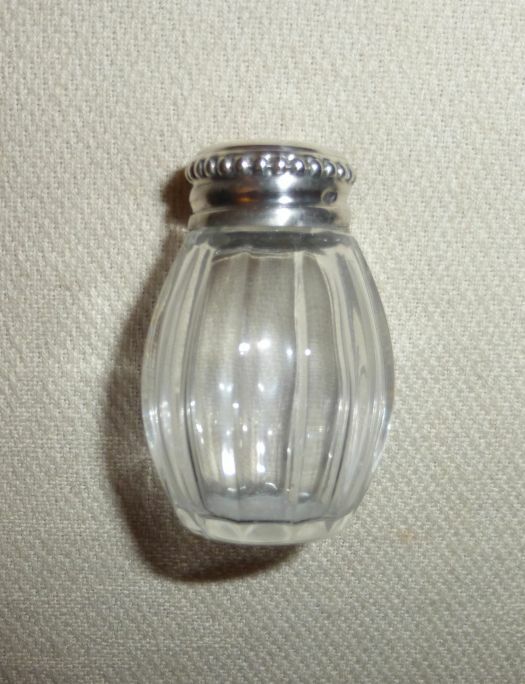 ), the lid is in solid silver. 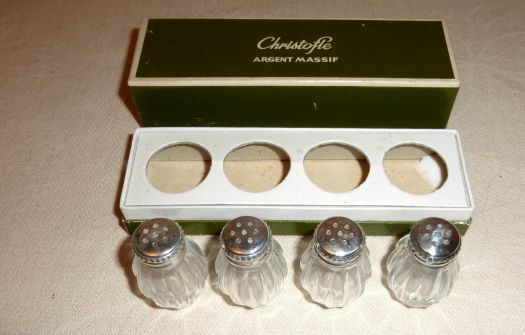 They are in very good condition and very nice.